Can I Avoid Arrest by Moving Interstate? If police have a warrant out for your arrest, or you have been charged with a crime, you may be tempted to run away from the problem. But for those considering moving interstate, it’s important to know that you can be apprehended wherever you are in Australia, and that police forces share their intelligence. 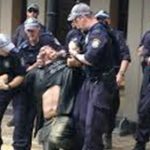 Section 24 of the Service and Execution of Process Act 1992 says that police can commence proceedings against you in any part of Australia. This means, for example, that if police issue an arrest warrant in NSW, it can be enforced in Queensland or Victoria, and it stays in force until you are arrested. And in any case, crossing the border in the hopes of escaping is something that police are very much aware of, and even target from time to time. 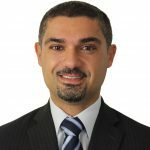 Last year, NSW and ACT police blitzed over 1000 people with outstanding warrants. It was part of a cross-border initiative between the two jurisdictions. The warrants included people wanted for drink-driving charges, assaults and thefts as well as failure to appear in court. Some of the warrants were more than 20 years old. Can I be extradited to another state to face charges? 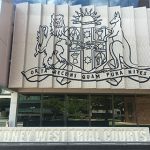 If you are arrested by police for an offence that allegedly occurred in another Australian jurisdiction, you will first be taken before a local magistrate, who will normally order that you are sent back to the place where the alleged crime occurred. 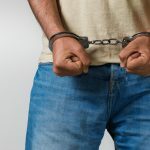 If this is the case, you may be forced to spend time in local custody until you are extradited, unless you make a successful bail application. 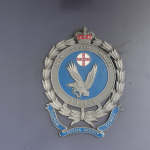 Just last month, one woman apprehended in Brisbane was extradited back to NSW in order to face charges of conspiracy to murder, and accessory before and after the fact. It is alleged that the woman, 25-year-old Candace Jodie Martin, and her husband hatched a plot to murder her father-in-law, 46-year-old Michael Anthony Martin, and inherit a series of life insurance policies that they had taken out in his name. The father-in-law was murdered in Murwillumbah in June 2014. A warrant may be issued for your arrest if you fail to show up to court. Warrants don’t just go away after a period of time – and they can have implications when it comes to employment checks and travelling overseas. Police can chase up people who go interstate, and it is not uncommon to receive a letter or a knock at the door from police who are chasing up an interstate warrant. Complying with the warrant by handing yourself in to police is the best course of action, because it can increase your chances of getting bail in court, and may even indicate that you have accepted responsibility. However, you should always get legal advice first, as attending the police station can be extremely stressful, sometimes causing people to inadvertently incriminate themselves, even if they’re innocent. Getting legal advice also increases your chance of achieving the best result in the long run, and speaking to someone who can tell you what is likely to happen and give you guidance is likely to make you feel better, too. Simply knowing what you are up against and devising a plan of action can alleviate some of your stress, and be the first step towards making your legal problem more manageable. And the sooner you deal with it, the sooner you will be able to move on with your life. How Dangerous is it to be a Police Officer? Should Clergy be Forced to Divulge Confessions?